We spent our Easter in a fantastic resort near the Washington DC area. 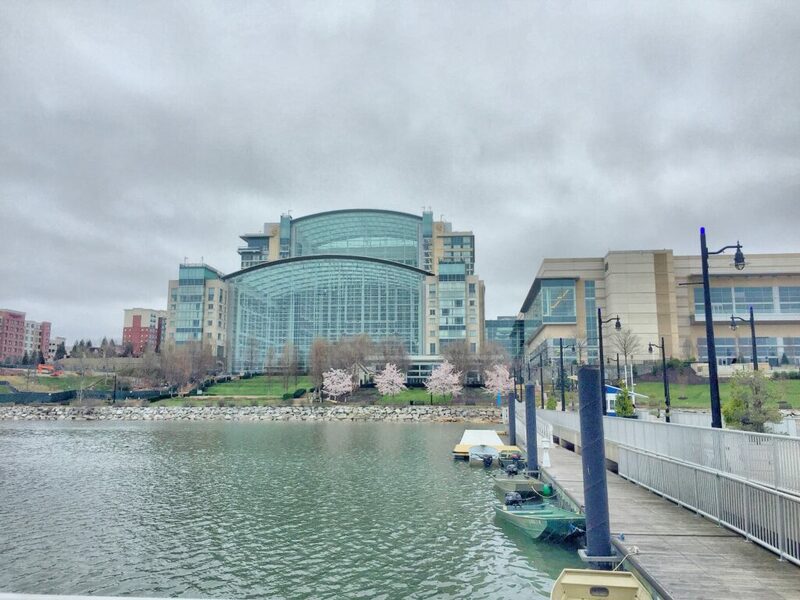 Set in the National Harbor is another fabulous Gaylord property, the Gaylord National. National Harbor reminds me of the Atlantic Station area here in Atlanta, with lots of great shops, places to eat, and condos for residents. While we didn’t get a lot of time to explore the area more, we really enjoyed having all the options within walking distance of our hotel. There are a handful of other hotels in the area as well, but I never pass up a Gaylord property. At the end of all the hustle and bustle is the Gaylord National with its towering atrium and flowing water. Each night they have a fun water fountain show on the hour from 6-9pm. The great thing about Gaylord properties is that you can have tons of fun right inside the resort. 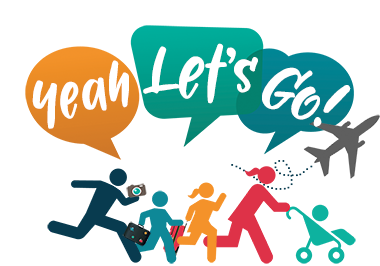 With lots of great food choices and shops, plus great kids activities for the family. You can participate in scavenger hunts during certain times of the year. While we were there, they partnered with the PEEP company to create a hunt for hidden PEEPs around the resort. 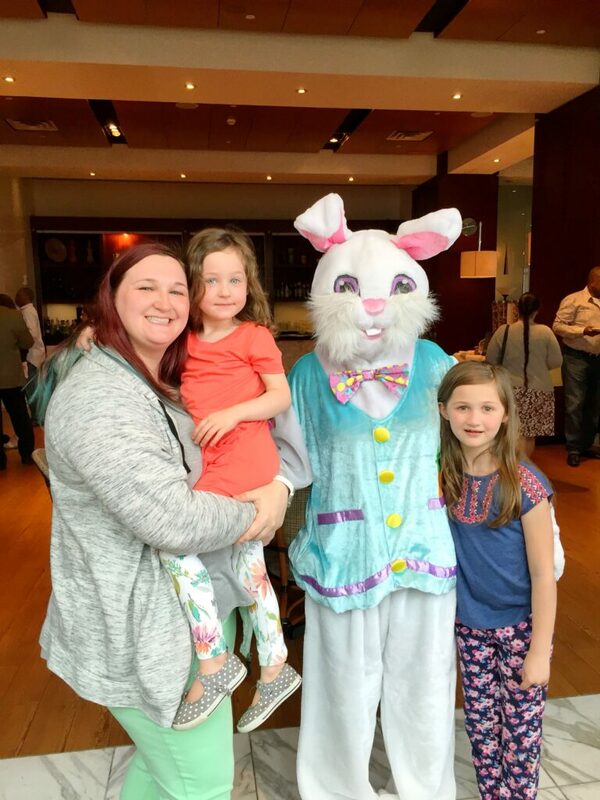 We enjoyed Easter Brunch together and even got to see the Easter bunny before diving into the waffle bar and the dazzling desserts. It was a special day, so there was lots of sugar and sprinkles involved. After we had fueled up, we visited the Museum of Natural History together. Gaylord properties are my all time favorite resorts to stay in. 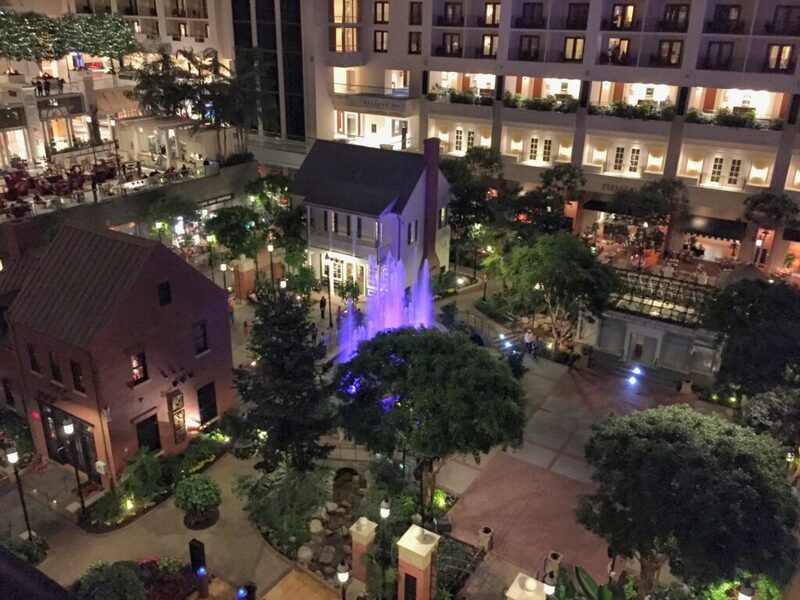 My first experience was in Nashville at the Gaylord Opryland for a blogging conference. I was quite pregnant, and the resort was so huge I had to take breaks between locations. A couple of years later we visited the Gaylord Palms in Kissimmee on a trip to Walt Disney World. We also enjoyed Christmas at Gaylord this past year, and it was the most amazing thing I’ve ever seen. They have the program at all of the Gaylord properties, and people come from all over to experience it. The Gaylord National is another beautiful property with lush green plants and flowers throughout the atrium and even little rivers. Make sure you request an atrium view so you can see all the beauty from your balcony. The resort has an indoor pool and a pier with boat tours and a great view of The Capital Wheel. 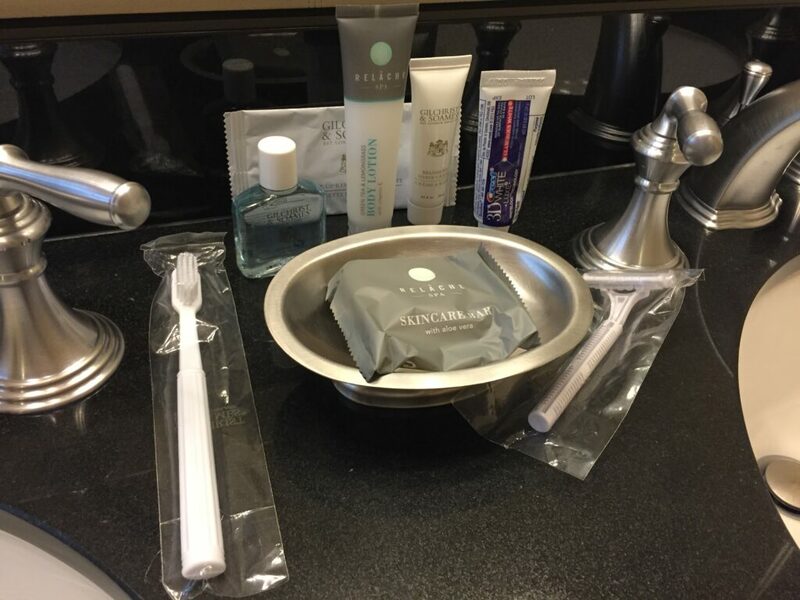 I also have to mention how surprised I was to see the products that are available in your suites. I know it seems like a silly thing, but having an extra toothbrush, toothpaste, razor, and shaving cream in your room is so handy. These are the items people forget the most. There are two more Gaylord Properties that I still need to visit, the Gaylord Texan located in Dallas / Fort Worth and the Gaylord Rockies in Denver that opens in 2018! I’m sure they are going to be just as amazing as the other three that I’ve visited. They convention space is the best I’ve seen hands down, and if you’re just visiting with family, you’ll find lots to do. The view alone will have your family in awe. I was provided a media rate during my stay at the Gaylord National. All opinions are 100% my own.